It restores the hair from being damaged. A moist pack that gives the hair a smooth and soft texture. It minimizes the hair damage and prevents hair falls. Wet your hair and massage the moist pack onto your head gently. Massage it thoroughly. Then wait for about 5 minutes. Rinse it off with water. For better results, use it once or twice a week. 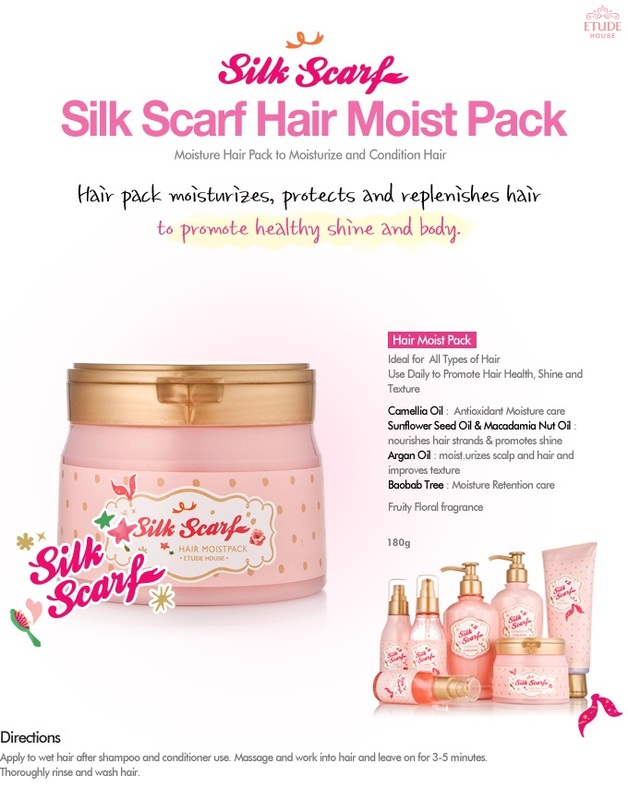 Take care of your hair by using this Silk Scarf Double Hair Mask from one of the leading Korean cosm..
Take care of your hair by using this Silk Scarf Hair Treatment from one of the leading Korean cosme.. Description: A nourishing hair serum that aims to give life to the damaged and dry hair. It leav.. Description: This Korean Hair Essence provides intense treatment to damaged hair. It contains Je.. Description: This hair pack is made of yolk nutrients that gives life and vibrant to the damaged ..